5 Perfect Tomatoes. Of all the plants we grow in our garden each year – there is simply not one more valuable than the amazing tomato. The Rutgers tomato is one of the best all purpose heirloom tomatoes around! For us, it is so much more than just an incredible fresh vegetable. Beyond summer’s fresh taste – the tomatoes we grow also serve as the base for so many of the canned and preserved goods that keep our family eating well the whole year round. Yes, we love trying to grow a slew old-time and bizarre type to experience an array of flavors. But when it comes down to it, there are 5 tried and true varieties that are the backbone of our food production goals. And we would be lost without them! With that in mind, we have dedicated today’s gardening article to those hard working varieties. I can’t tell you how many people tell us they shy away from growing tomatoes because their kids don’t like the taste, and simply won’t eat them. But if you ask those same people if their kids like salsa, chili, pasta sauce, or of course, the all-time kid favorite – ketchup, you almost always get a resounding YES! Well, guess what? Those are all made with tomatoes. And making those salsas and sauces from home-grown tomatoes really does make them better. Better tasting and better for you! All with the added benefit of knowing how they were grown, and that they are free of preservatives. With these 5 tomato varieties, you can make all of the above and more. They all grow well with basic care, produce heavy yields, and taste much better than any store-bought tomato ever could. So let’s take a look at them! For those looking for seed sources, we have included direct links at the end of each variety. 5 Perfect Tomatoes To Grow To Feed Your Family & Stock Your Pantry! Rutgers – As far as multi-purpose goes, it is the rock star of our list of the 5 perfect tomatoes to grow! The heirloom version of this tomato is chock-full of meaty flavor. It is a perfect slicing tomato for hamburgers and sandwiches, and meaty enough to stand up to grilling. The San Marzano are perfect tomatoes for sauces and salsa! San Marzano – The pasta sauce tomato! This heirloom variety comes straight from Italy and produces a heavy load of thick, rich and meaty tomatoes. They will add incredible flavor to all of your dishes. 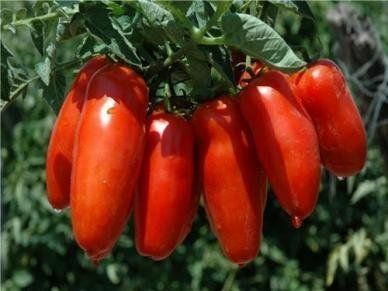 The San Marzano has few seeds and rich pulp, making them perfect tomatoes for pasta sauce. Valencia – This is a beautiful salad and soup tomato! This heavy producing, orange beauty has great flavor and is perfect in salads, or sliced for veggie trays. But best of all. it makes the absolute most amazing tomato soup you will ever taste! (Our Tomato Soup Recipe) It’s lower on the acid scale, so you want to freeze these soups, not can them. 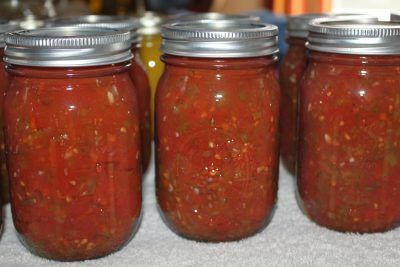 Amish Paste – Our absolute Go-To tomato when it comes to canning salsa and sauce! This is an heirloom variety, and much like a “Roma” style tomato. Black Cherry If you love cherry tomatoes – you will really love these! They are the ultimate cherry tomato! Black Cherry tomatoes have a super-sweet, rich flavor that can’t even be compared to those bright red cherry tomatoes you find in plastic boxes at the grocery store. There you have it – our top 5 go-to all-purpose perfect tomatoes to grow! So how about trying your hand this year at some home-made salsa? Happy Gardening – Jim and Mary! This post may contain affiliate links. where do I find these 5 tomato plants? Rutgers is a vigorous and good tasting tomato, but it is highly susceptible to hornworm and other insect damage as well as a variety of leaf wilt and fungus diseases. This is a bit of a problem with all heirloom tomatoes. My own favorite is Mortgage Lifter which is one of the absolute best tasting tomatoes I’ve ever grown, but which isn’t a great producer. I’ve found the single most important thing in growing heirloom tomatoes is to be sure your soil pH is between 6.0 and 6.8 (which is actually best for most veggies). 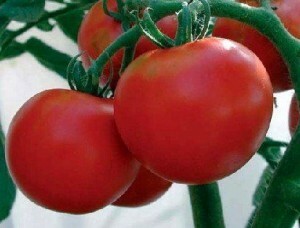 The reason is because that pH will help your tomatoes to absorb and use calcium which will prevent blossom end rot. Where I live native soils are highly alkaline and calcium rich but until I got the soil pH down to 6.5 my tomatoes couldn’t absorb enough calcium to prevent end rot. I used compost and sulfur to bring the ph level down to a useful level, but it’s an ongoing battle. The second most important thing you can do to be successful growing heirloom tomatoes is to rotate your crops. Never grow them in the same raised bed or area of your garden two years in a row. If, as I often do, you get volunteers springing up, transplant them to another area. Last year we started getting blight on our san marzano tomatoes. I put a tums tablet and a couple tablespoons of epsom salt next to each plant. In about a week it cleared up and was not seen again for the season. I think if you had 2 plants of each you would be good. How many tomato plants would you estimate 2 people would need if they are interested in preserving? We have a serious problem with blight that makes the tomato rot just a it starting to ripen. How can we treat this ?? Our tomatoes have been horrible , we tried different kinds, new dirt using containers. ,still get blight. Good recommendations however a bit late as most of these seeds are sold out already….to get any selection on tomato seeds they have to be ordered in Jan. early Feb.
Are the tomatoes that you listed above good for the middle Tennessee area? I DON’T UNDERSTAND WHY YOU DON’T RECOMMEND LOCAL NURSERIES FOR SEEDS. CEDARS STORE ON MT VERNON ROAD IS A GOOD STORE FOR SEED. AND JOHN IS VERY HELPFUL FOR PEOPLE GETTING STARTED OR DON’T KNOW ABOUT PRODUCTS. WILSON NURSERIES CARRY ABOUT EVERYTHING A GARDENER NEEDS AND YOU CAN GET ANSWERS ON PROBLEMS ALSO. I KNOW YOU HAVE A BROAD PEOPLE COVERAGE BUT JUST MENTION A LOCAL ONCE IN A WHILE FOR LOCAL READERS.